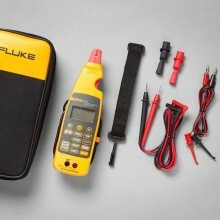 Includes: Four AA alkaline batteries (installed), Soft carrying case, TL75 test leads, AC 72 detachable clip, TL 940 mini hook test leads, Fluke 772 Instruction sheet, Hanging tool with hook and loop strap. 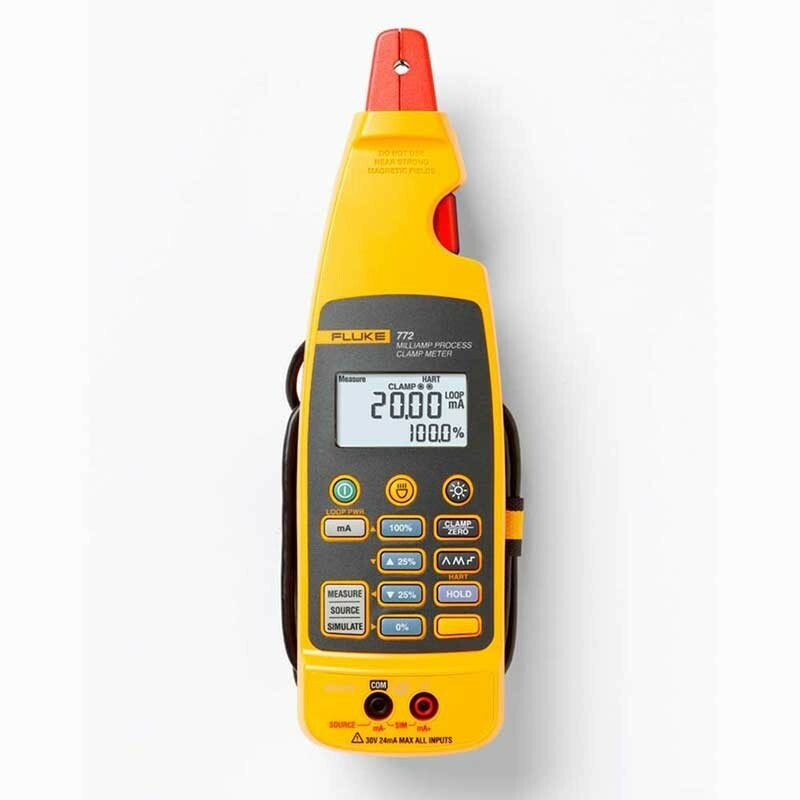 The hand-held, battery-operated Fluke 772 Milliamp Process Clamp Meter can be used in troubleshooting transmitters, valves, PLC and DCS I/O. 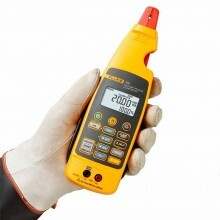 Unlike conventional clamp meters, the 772 features a remote jaw that is connected to the main body via extension cable. The detachable clamp with extension cable allows you to take measurements in tight locations, and the built-in spot light illuminates hard to see wires in dark enclosures. 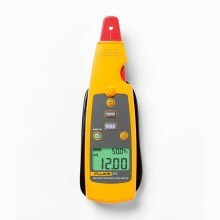 The Fluke 772 deliver a comprehensive range of test and measurement capabilities. Now technicians in process plants, industrial plants, commercial buildings and automation commissioning teams can choose exactly the range of capabilities they need, at a price that makes sense. 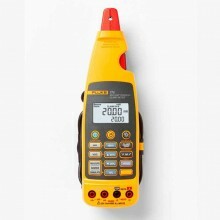 Loop calibrator that measures 4 to 20 mA signals without breaking the loop. Features best in class 0.2% accuracy. Simultaneously measures the mA signal with the clamp and sources a mA signal. Delivers 0.01 mA resolution and sensitivity. Measures mA signals for PLC and control system analog I/O. Auto off and backlight timeout extend battery life. Built-in measurement spotlight for illuminating darkened areas. Diameter of measurable conductor 0.177” or 4.5 mm max. 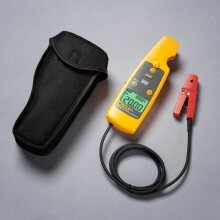 Operating temperature -10 to 50 ºC. Storage Temperature -25 to 60ºC. Operating Humidity < 90% @ <30 ºC, < 75% @ 30 to 55ºC. Operating Altitude 0 to 2000 m.
Size 59 x 38 x 212 mm, (2.32 x 1.5 x 8.35 in.). Vibration Random 2 g, 5 to 500 Hz. Shock 1 meter drop test (except the jaw). Power, battery life (2) AA 1.5 V Alkaline, IEC LR6, 40 hours typical. Warranty Three years for electronics one year for cable and clamp assembly. Accuracy: 1% + 5 counts. Accuracy: 0.2% + 2 counts. 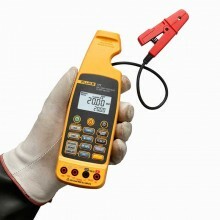 PDF Specifications of the Fluke 772 & 773 Milliamp Process Clamp Meter.